WHY GO: If you’ve ever played Monopoly, you’ll recognize Reading PA as one of the board game’s four Railroads, or, if you follow such things, the birthplace of pop icon, Taylor Swift. But this former iron and industrial city was also familiar to bargain shoppers as an Outlet Center long before outlets were “premium.” The outlets (and most industries) may have left the area, but this original PA Dutch settlement encompassing Reading and the surrounding Berks County towns of Kutztown, Boyertown (with its own page HERE) and others, are back in vogue in some significant ways. Berks County’s safe, clean, well marked mountain biking trails have earned International Mountain Bicycling Association’s Ride Center status. And Reading Liederkranz in Reading hosts the Top 10 Okoberfest in the nation according to USA Today. Reading is a town in transition, but despite some iffy areas it’s worth checking out. 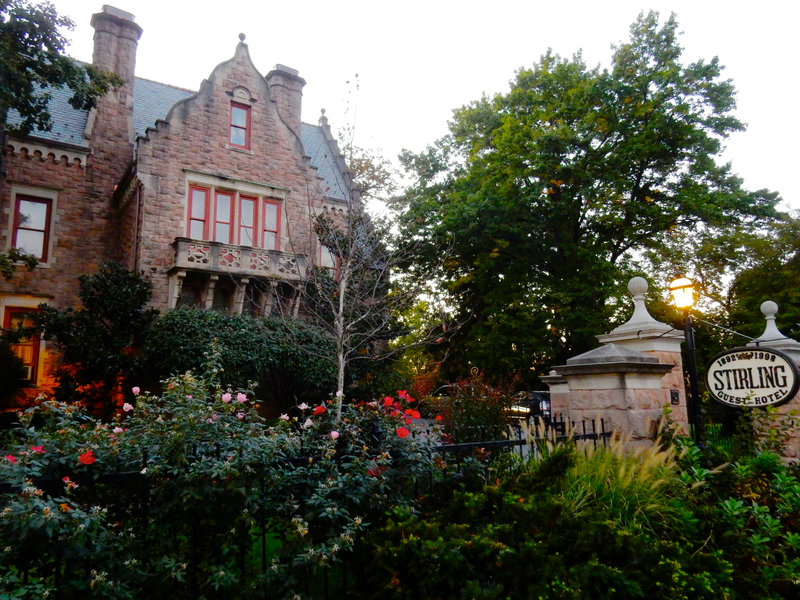 Though some parts of town are still run down, others, like the Centre Park Historic District – comprised of mansions to row homes and a pretty park – have been well maintained by long term residents with great pride in their city. In fact, it is this pride that permeates throughout Reading and influences the many old and new institutions and community organizations. This Getaway brings you to one of the best hawk viewing areas in the country, artists studios carved from a former goggle factory, a stately museum set within an arboretum, a PA Dutch Cultural Center, and much more, all of course, while staying in Victorian-age glamour, and dining in the county’s best and most iconic restaurants. 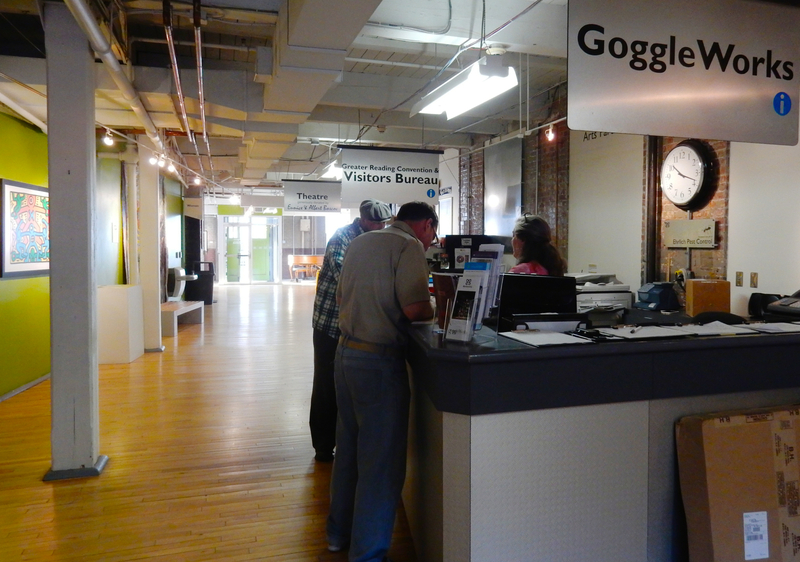 EXPERIENCE: Goggle Works Center for the Arts, Reading. Not to be confused with “Google Works” (it happens all the time) this arts facility inside the guts of what was once Willson’s Goggle Factory houses dance companies, an indie movie theater, jewelry making, glassblowing and ceramic classrooms and a bevy of artist’s studios where you can meet those who paint, sculpt, photograph, and work in textiles, and then purchase directly from the artist his or herself. 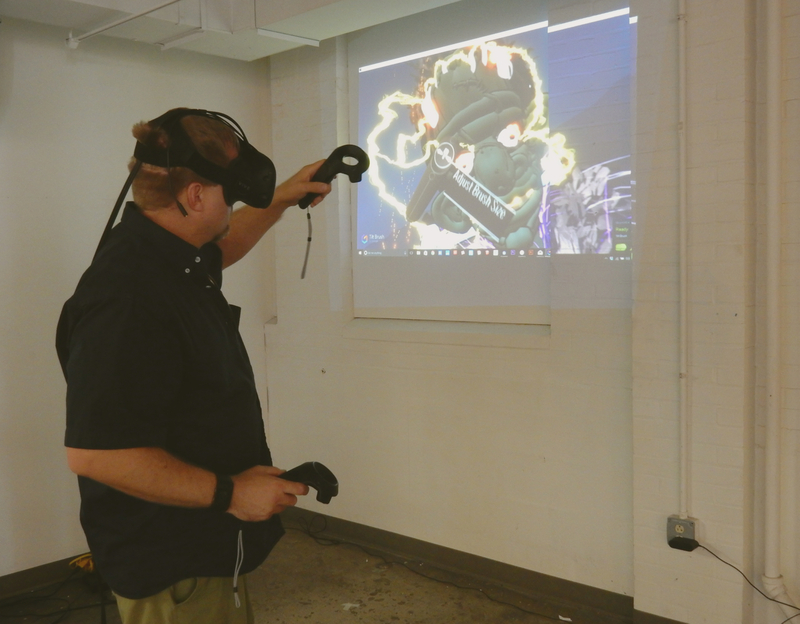 And Goggle Works latest acquisition –Virtural Reality artist, Kris Jackson, here using Tilt Brush by Google. Goggle Works runs programs, movies, workshops and interactive experiences throughout the year and is one very cool, can’t miss place. Open daily 9am-9pm. VISIT: Reading Public Museum, Reading. 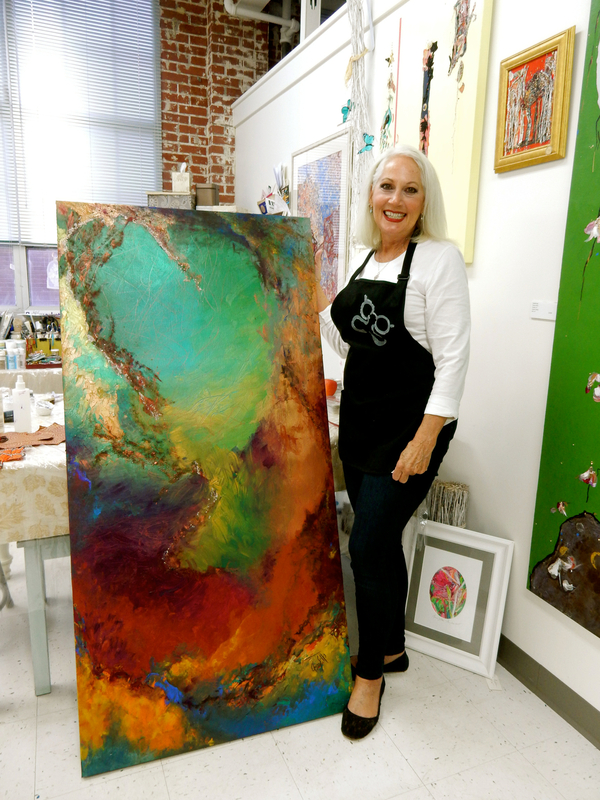 Like all grand “park” museums – this one within a spectacular 25 acre Arboretum – Reading Public has a smattering of everything from ancient artifacts to modern art. Far from a stuffy, adult-only place, you’ll hear peels of laughter from kids who are encouraged to “Please Touch” in Discovery Stations scattered throughout the two massive floors. 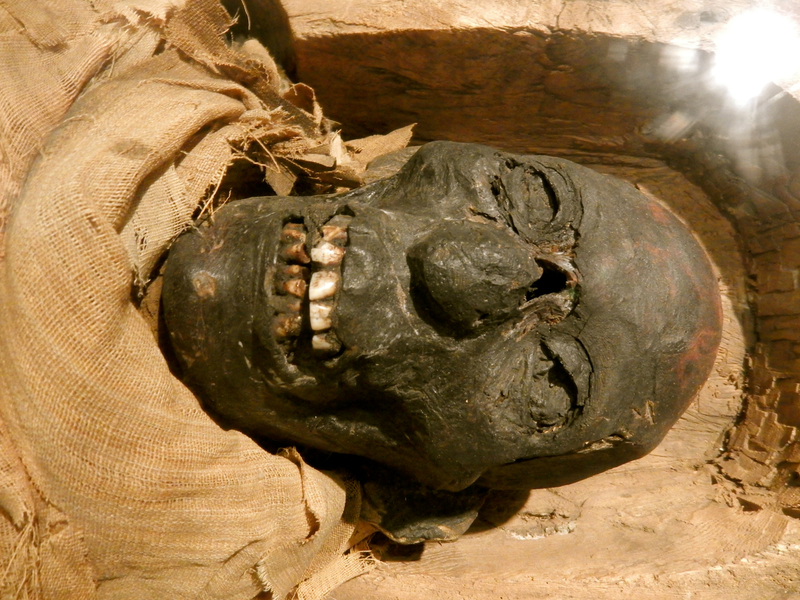 Lovers of the bizarre, however, will make a beeline to the diminutive Jivaro Ceremonial Shrunken Head from pre-Columbian Peru, and the two-millennia-old unwrapped mummy, Nefrina, who, through recent CAT scans, was found to sport wooden ears and have suffered a broken hip. 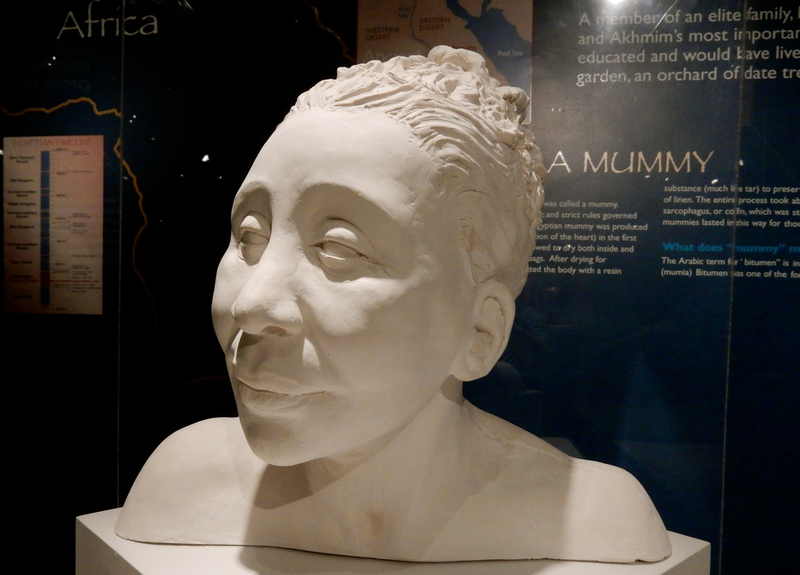 Even more thrilling is a sculptural depiction of what Nefrina would have looked like when alive– a strikingly regal Nubian woman. Open daily 11-5, $10 adults, $6 kids and seniors. 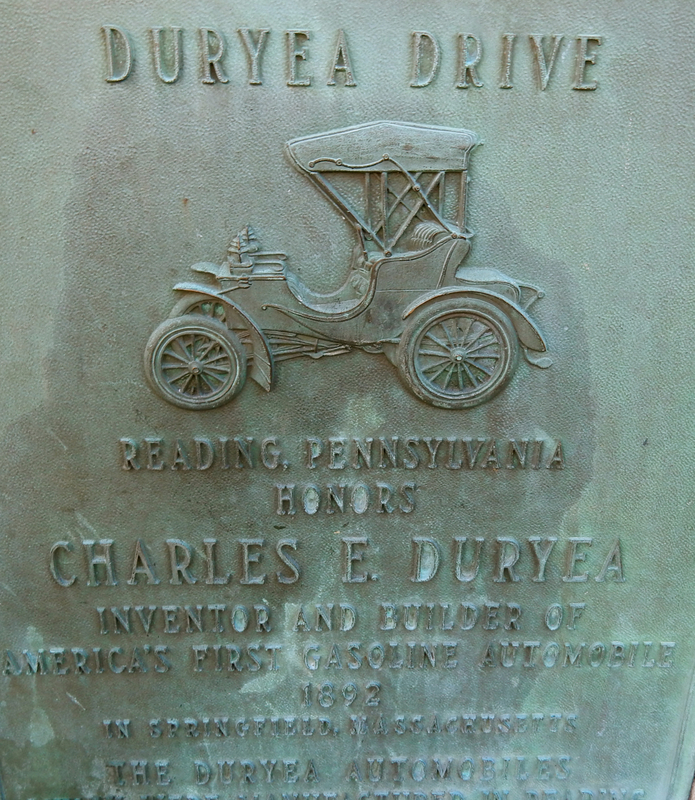 DRIVE: Duryea Drive, Reading. Ride your bike or drive the tree-canopied switchbacks up to the Pagoda atop Mt. Penn. This glorious roadway is closed to traffic twice a year for the Sports Car Hillclimb Race. 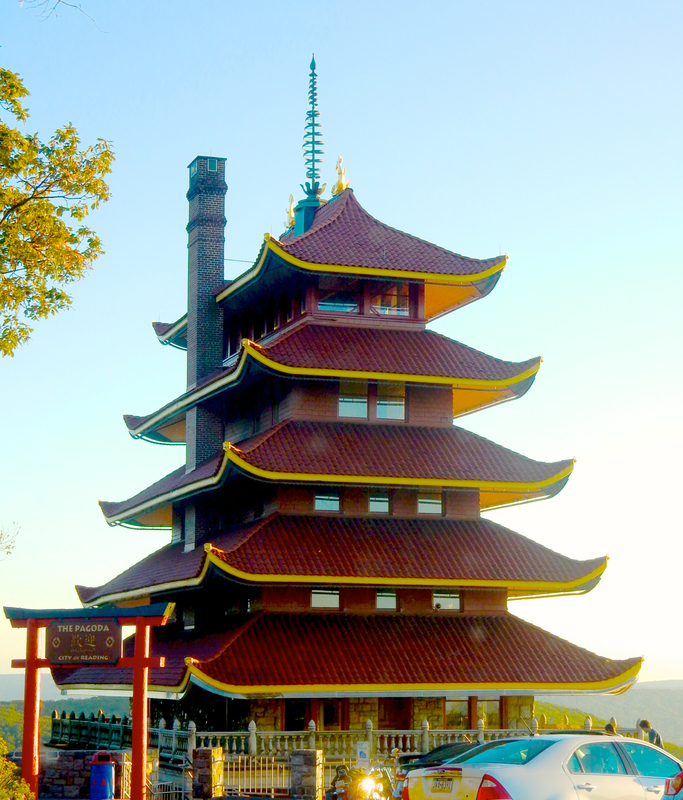 PHOTO OP: Reading Pagoda. This anachronistic 7-story high red pagoda at the top of Mt. Penn, anchored to the mountainside with 16 tons of bolts, was built in 1906 as a luxury resort, but the builder, failing to obtain a liquor license, went bankrupt. 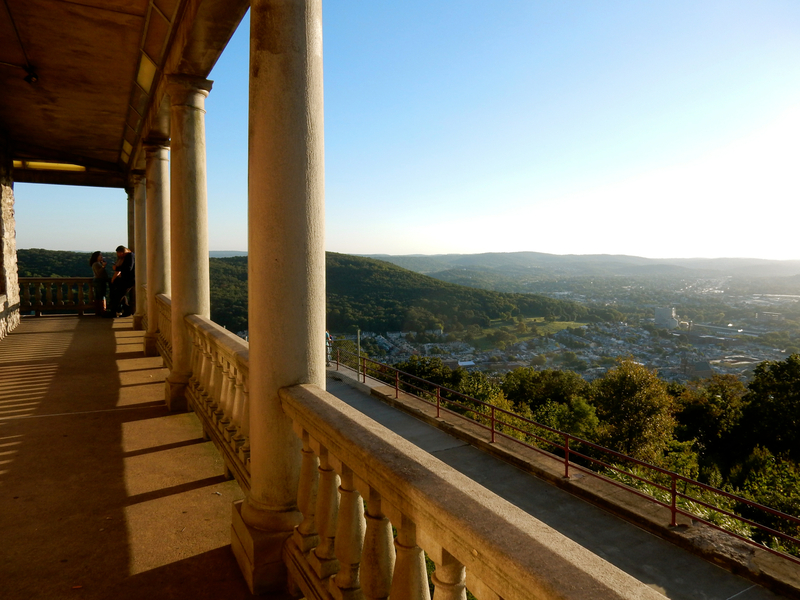 In 1911, the Pagoda was sold to the city of Reading for $1, and purportedly operated as a “Men’s Club” until 1992, when it was restored as a beacon for visitors and locals as well. Now, it’s a top spot from which to view the city below, a huge selfie magnet, and the best place in town to watch the sunset. Opens on Sat/Sun 12-5pm, grounds open 24/7. 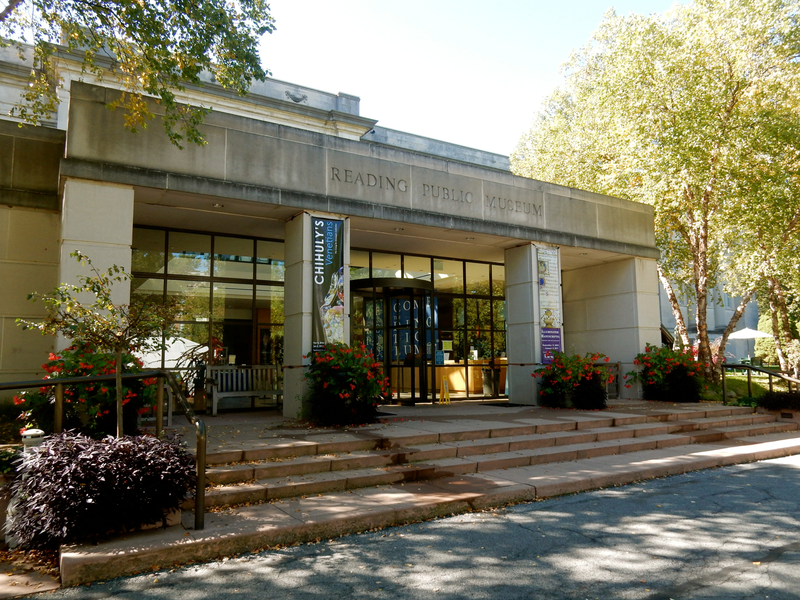 VISIT: Berks History Center, Reading. 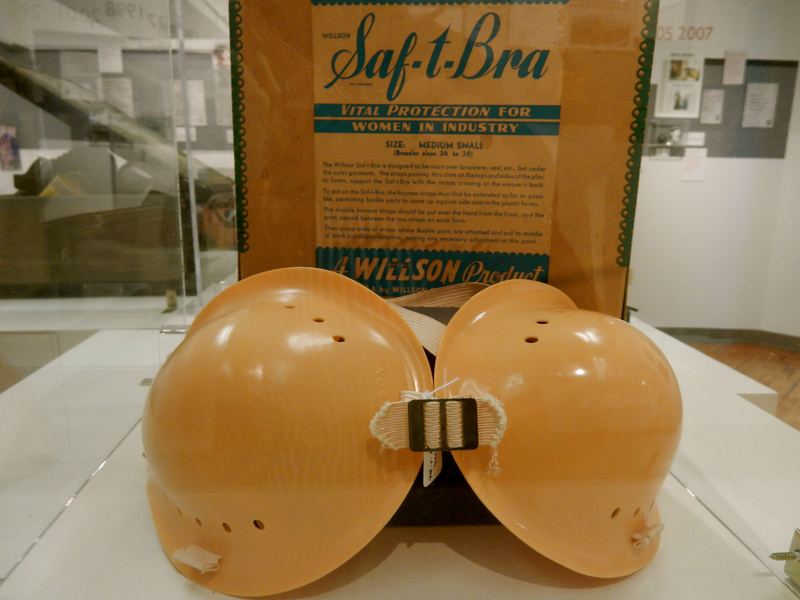 Established in 1869, the Berk’s County Historical Society was one of the country’s oldest, and its galleries hold some amusing artifacts. Several hundred years ago, Berk’s County was a center of the iron industry (1700’s iron foundries here manufactured cannonballs used by American troops during the Revolutionary War) as well as German language publishing. 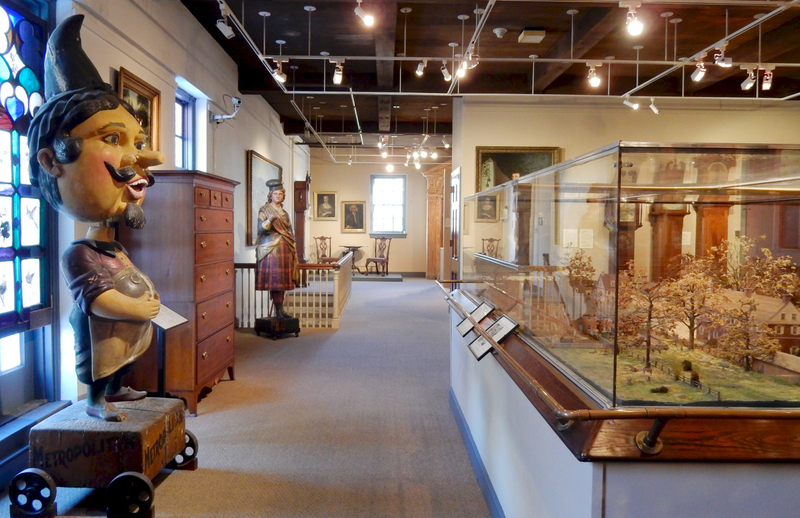 The museum is replete with objects from PA Dutch families as well as other local relics in its eight galleries. Look for the PA Long Rifle, first developed in Berks County, its handle decorated with scrolled metal. Upstairs, you’ll find quite a collection of rare Reading-made grandfather clocks, a scale model of 1800’s Reading completed in 1940, and unique German-carved Cigar Store figures: Pompey – PA’s first portly life-sized bobblehead, and a rare Scottish woman. Open Tues-Fri 10-3, Sat 9-3. $2. SHOP: Artifacts Bank, Centre Park Historic District’s home office, Reading. 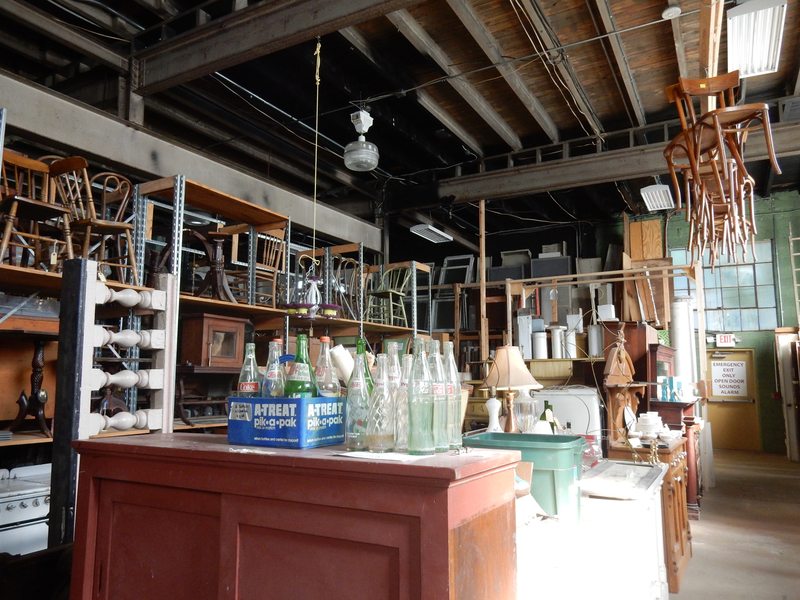 Like most salvage shops, this one offers a range of items from parts of demolished or renovated homes and buildings: doors, doorknobs, stained glass, hardware, fencing, furniture, stairways, and even kitchen sinks. If you’re in the market for green glazed Spanish roof tiles, you’re in luck. There’s a bunch for $3 each. 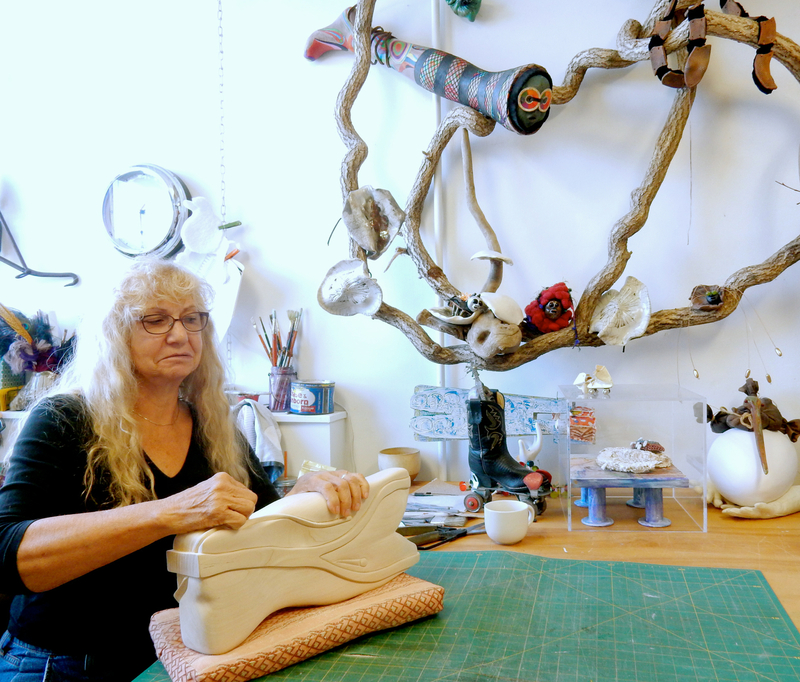 Unlike most salvage shops, this is a non-profit, benefiting the Centre Park Historic District, which promotes architectural preservation and enhances neighborhood living through community outreach and opportunities. 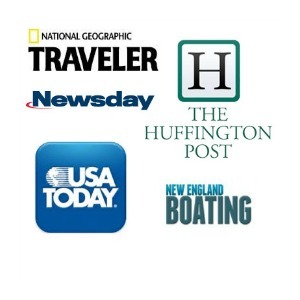 Open Sun 9-2 and Mon 2-6pm. In the 1930’s, this ridge on the front range of the Appalachian Mountains was a popular bird-hunting site, with countless raptors killed yearly. Conservationist Rosalie Edge, hoping to end the mass killing of these birds of prey, purchased the property atop Kittatinny Ridge in 1934, kicked the hunters off, and allowed her beloved birds to flourish. 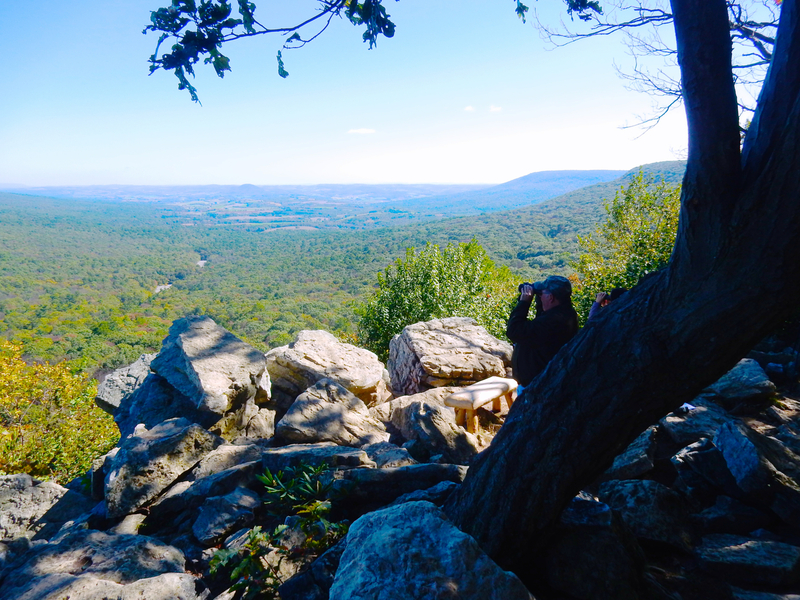 Hawk Mountain has since become an education and research center in addition to being a gorgeous place to hike. Drawing nature lovers of all ages from all the world, you’ll find kids to seniors with walking sticks, cameras and binoculars hiking ten minutes to the South Trail near the Visitor’s Center/Museum, and then the mile (each way) up to the Lookout Trail with stunning 360 degree views of the valley and landscape below. You can purchase trail access stickers and find trail maps demarcating 8 miles of trails – the longest being the four mile River of Rocks Trail – at the Visitor’s Center. For the handicapped, there’s a new ADA Accessible Silhouette Trail, created in 2015, with life-size displays of raptors – adding an educational component to a simple walk. 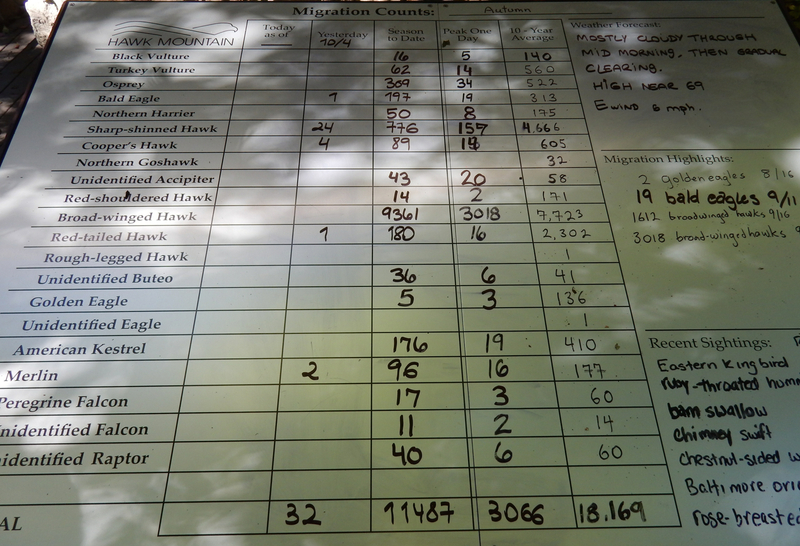 Bird sightings are recorded on count boards situated at the base of the trail. On Oct 5, 2016, there were over 11,500 birds of prey recorded since Aug 15 when the season began. 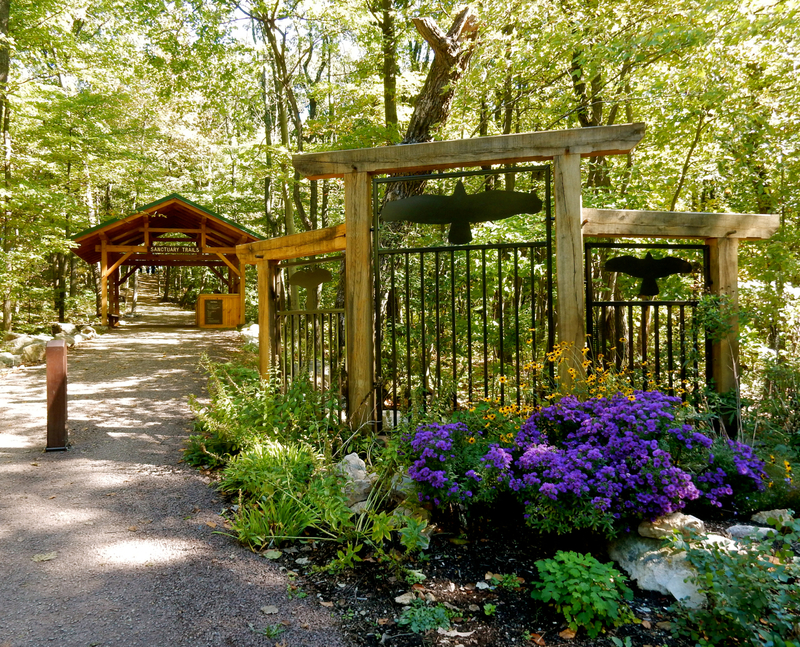 Open year round Visitor Center 9-5, trails dawn to dusk, $9 adults, $5 kids, under 6 free. TOUR: Pennsylvania German Cultural Heritage Center, Kutztown. Pop quiz: how many of you think that the PA Dutch (another name for PA German) and Amish are interchangeable terms? If so, you might be surprised to find that though the Amish are PA Dutch, they and the Mennonites collectively represent only 5% of the PA Dutch community. 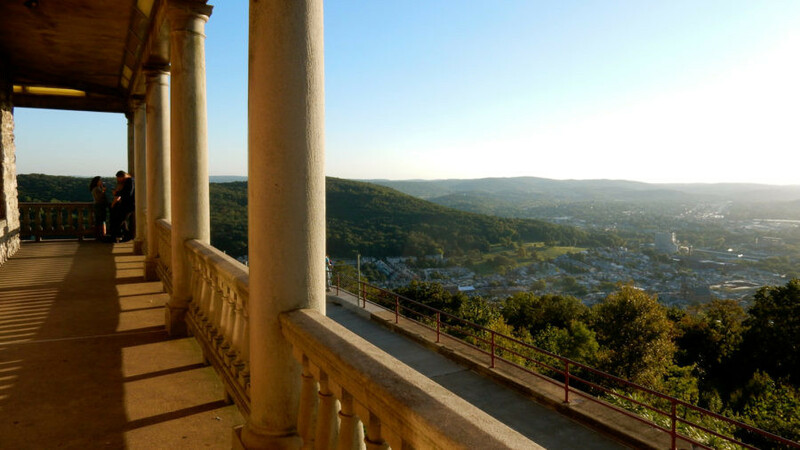 You’ll discover this and other myth-busters on a scholarly but highly entertaining tour of this folk-life center that preserves and promotes the PA Dutch culture and traditions. 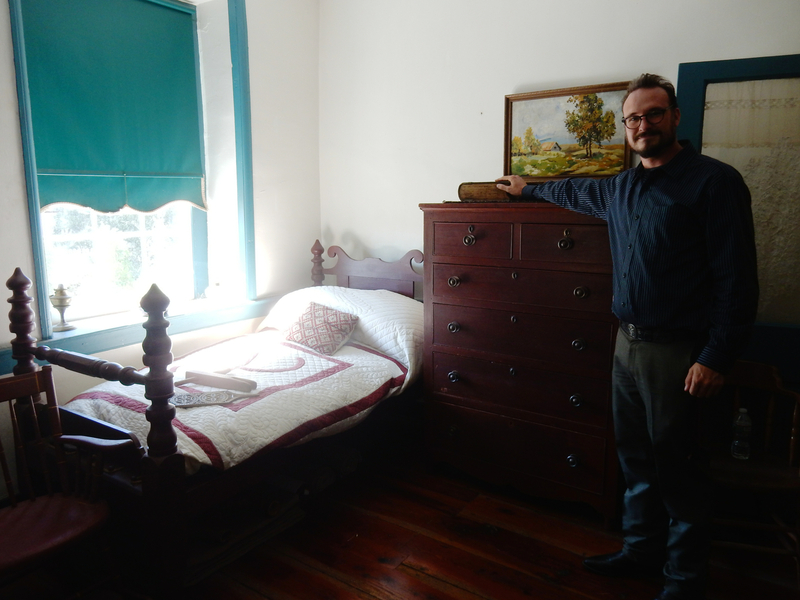 Tour a one-room schoolhouse, a typical German Bank Barn and a farmhouse – all on a section of the Kutztown University campus – conducted by a Pennsylvania Dutchman and historian, Patrick Donmoyer. Starting in the early 1700’s, before Germany was a nation, these Christians, persecuted in their villages, escaped to the New World and settled in Pennsylvania. Called PA Deutsch (later changed to Dutch), the community grew to 81,000 by the American Revolutionary War. The PA Dutch spoke a certain dialect of German – similar to Yiddish (with which it has much in common). 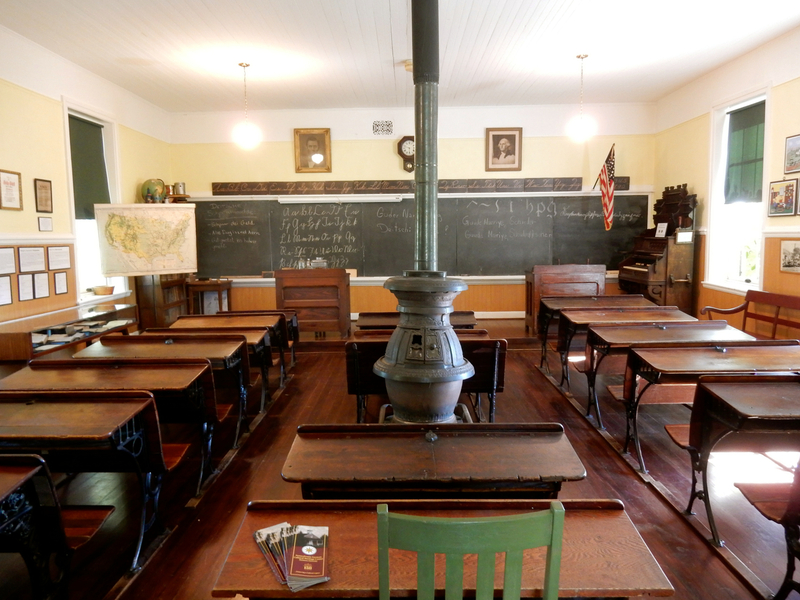 You’ll learn about rural education at the Freyberger One Room schoolhouse – the first stop on the tour. During the American Revolution, the dominant language in Berks County was German, busting the myth that the earliest American language was strictly English (in fact, students learned Lenape – the local Native American tribe’s language – as their second language). It wasn’t until 1900 that curriculum here changed to English, and even now, the Mennonites who live here speak PA Dutch in the home and English at school. 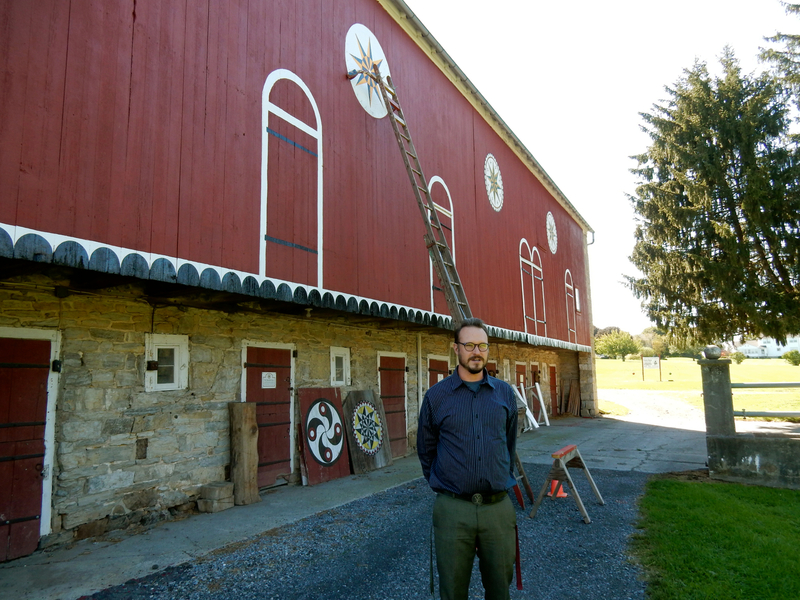 Your second stop is at an 1855 barn, one of the finest examples of a decorated barn in PA, with regional symbols distinctive to Berks County – the 8-pointed star in particular. But, here’s another myth, busted. Hex Signs were an invention of the tourist industry to sell decorative plaques as souvenirs. 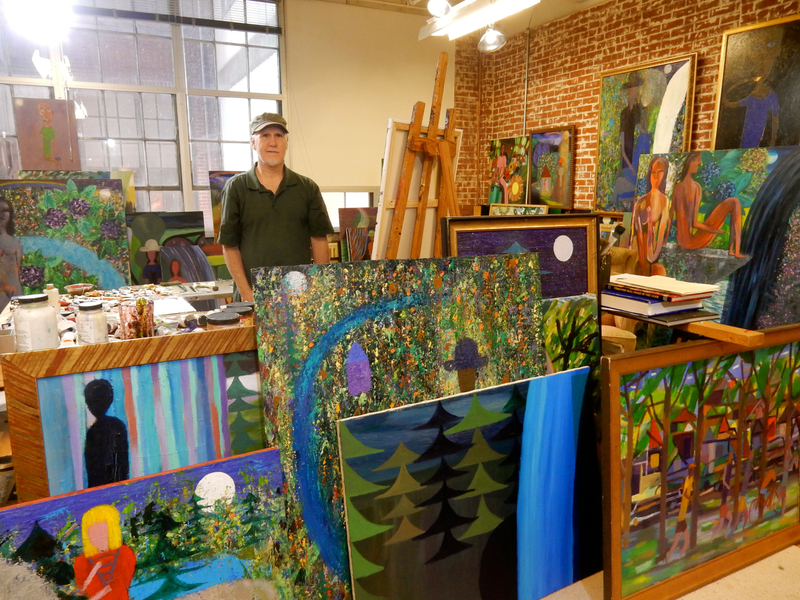 In the 1940’s, travel writer, Wallace Nutting, spotted star art on many PA Dutch barns, and somehow, through a conversation with a German speaking farmer, confused “Barn Art” or “Barn Stars” with “Witch Hex”. The Berks County PA Dutch, at least, were not superstitious in this way, and in fact their barn decorations painted right on the side of the barn were merely that: Pretty barn art and not hexes at all. (Though the PA Dutch have over the years incorporated Hex Signs into their culture due to all the interest). You’ll finish the tour in the 1810 farmhouse – furnished as it would have appeared in the post-Civil War era – showcasing the common, every day story of the local PA Dutch. Every Sunday, visitors would congregate in the modest parlor, where several ornamental Birth Certificates, both in German and English, line the walls. The large travel trunk – arched on top to minimize stacking damage in transit – allowed immigrants to get to their clothes easily while sailing to the New World. 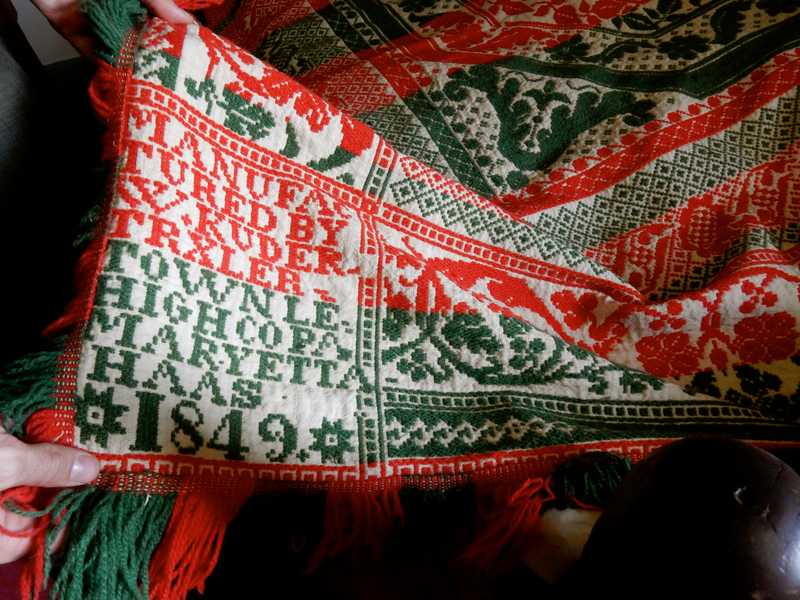 And though later, the PA Dutch would be known for their quilts, their first textiles were intricately woven on computer-complex Jacquard Looms. You’ll see a fine example on a bed upstairs. Before leaving, stop into the Genealogy and Berks County history library next to the Visitor’s Center. If you have German ancestry, you just might have a PA Dutch connection. Open Mon-Fri 10-12 and 1-4. Tours by appointment – arrange by emailing heritage@kutztown.edu. 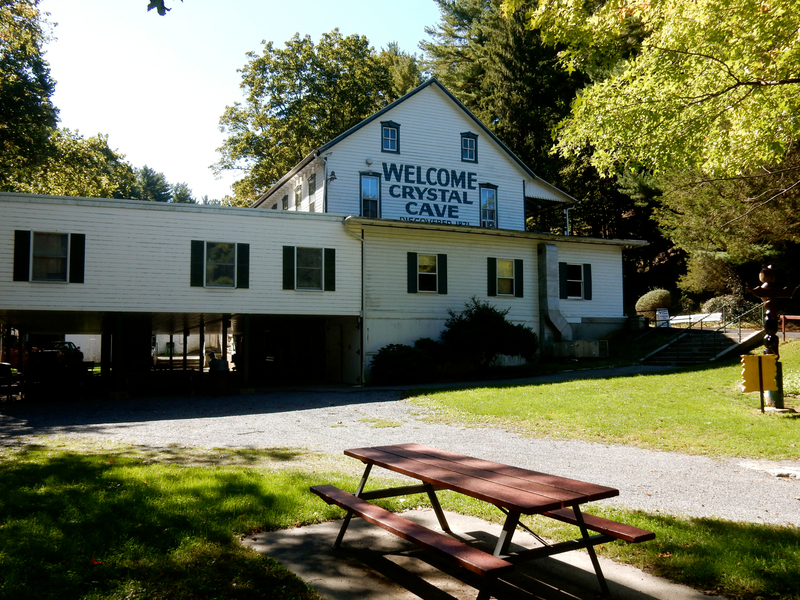 TOUR: Crystal Cave, Kutztown. Don’t overlook Berks County’s most popular attraction – a “fairyland of geology” with “thousands of sparkling calcite and aragonite crystals of various shades and colors.” Discovered in 1871, it’s amazing to see what water seepage can fashion throughout Crystal Cave’s underground rooms and nooks. 55-minute tour, $14.50 adults, $10.50 kids. 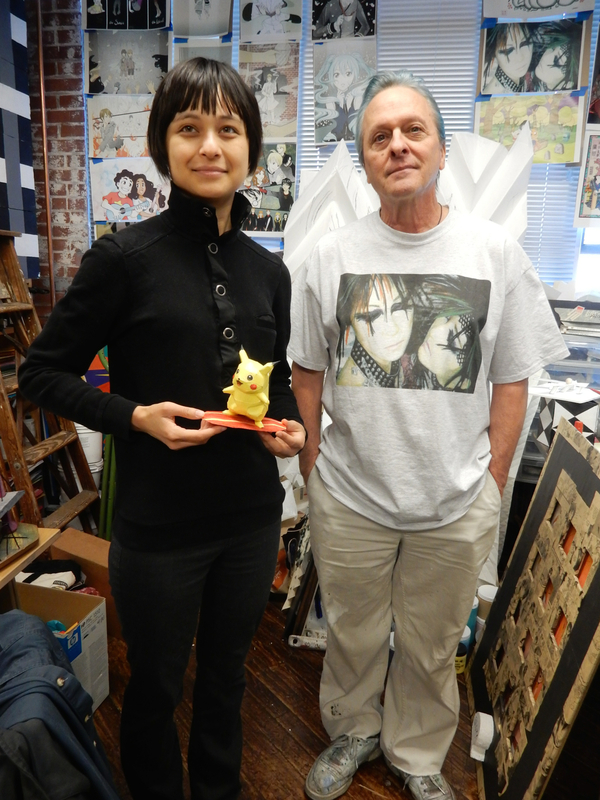 Open March – Nov. daily 9-5. 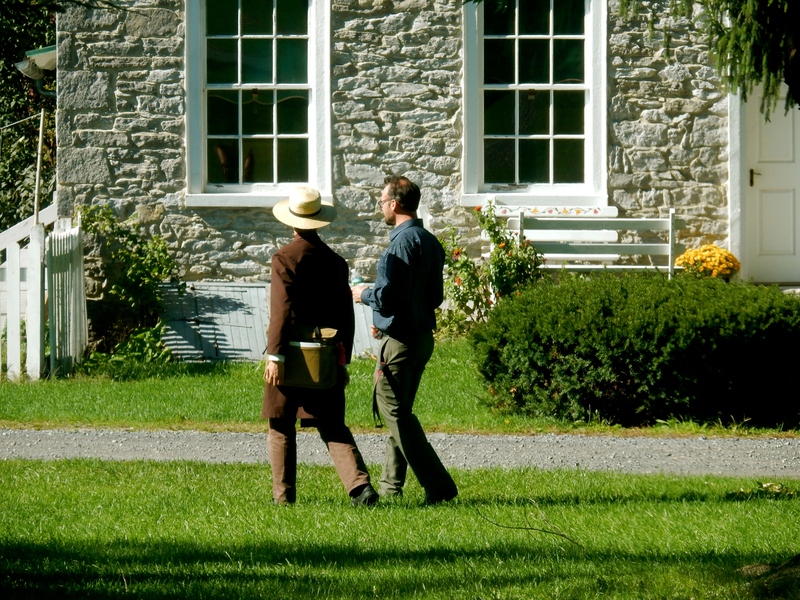 TOUR: Rodale Institute, Kutztown. Rodale was one of the first pioneers of the Organic Farm movement in 1947, when J.I. 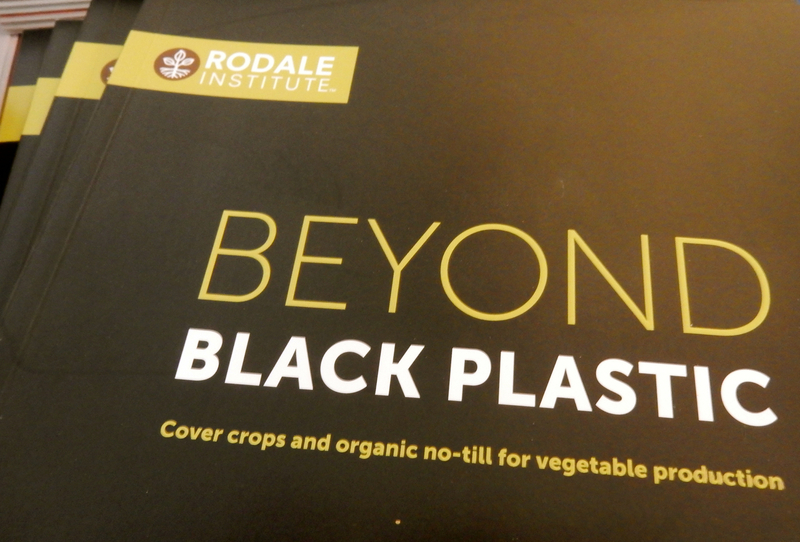 Rodale began to study the link between healthy soil, healthy food and healthy people. The Institute continues to be a research, education and outreach resource for farmers, proving that organic farming systems are more profitable than conventional ones (through side by side comparisons). Non-farmers can take a walking tour of its 333 acres (pick up a map in the main office), shop at the farm store, and pick apples in season. 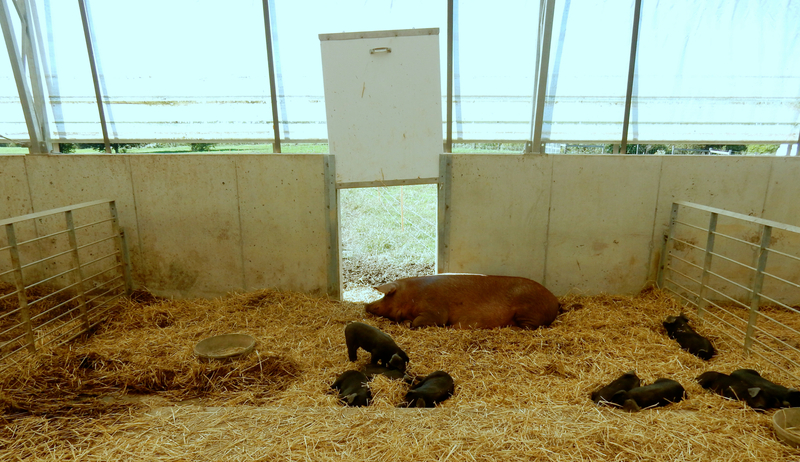 You’ll most likely want to loiter around the Hog Facility (opened in 2015) where momma pigs and just-born piglets have 24/7 access to pasture land. 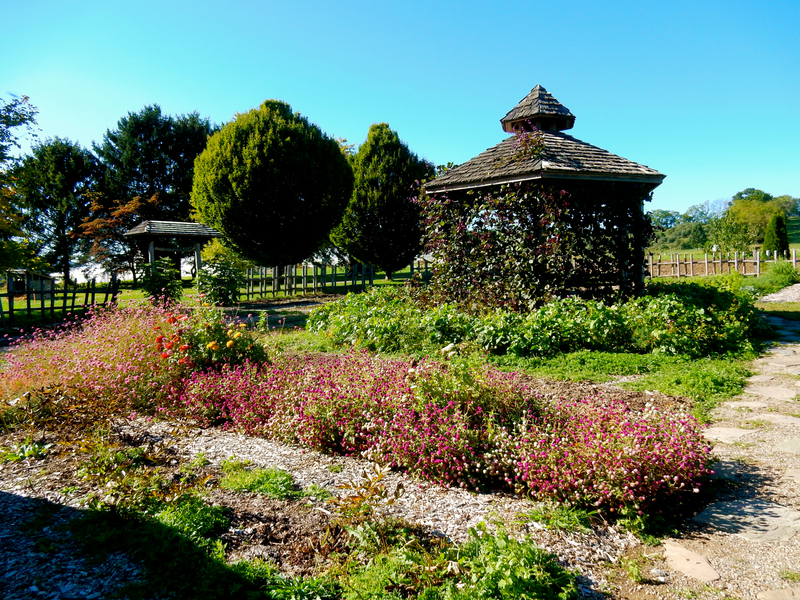 Those interested in gardening will want to spend more time at the Demonstration Garden, which is composed of various sections including a medicinal herb garden, a cutting garden, raised beds, a pollinator garden, and unique geodesic greenhouses. Don’t leave without saying “hi” to resident Heritage Breed Oxen, Louis & Clark, the “biggest teddy bears and great lawn mowers.” Open daily 8-5, free. EAT: Judy’s On Cherry, Reading. Situated in a former indoor Market, turned brewery, now a funky brick-walled, art filled Contemporary Mediterranean restaurant, Judy’s has been touted as Reading’s best restaurant for good reason. 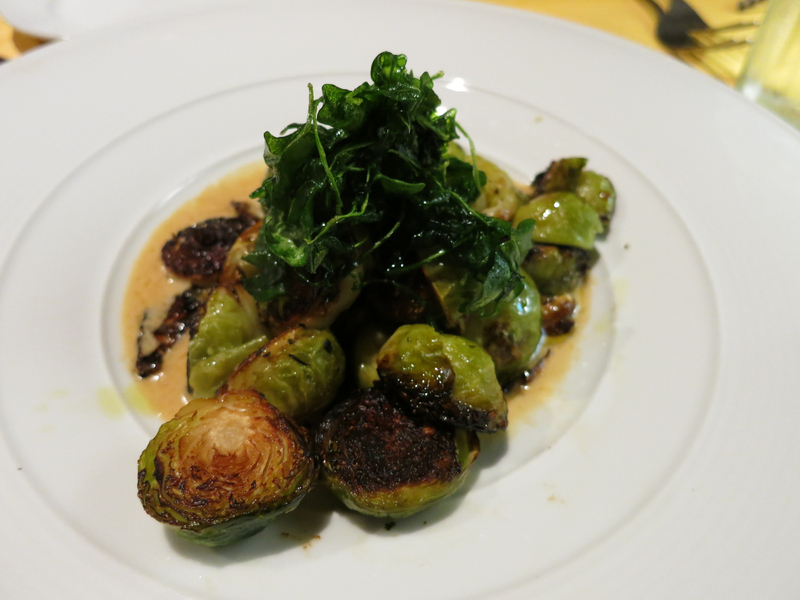 I’d put Chef Judy Henry’s perfectly seared Browned Brussels Sprouts With Truffle Crème ($10) up against those of any other restaurant. Her Fried Golden Tomatoes ($9) are a toothsome combo of crunch and sweet, and warm tomato meat. Combined with the Cowboy Ciao Salad ($13) with smoked salmon, tomatoes, couscous and roasted corn it makes for an ideal light meal. EAT: Stokesay Castle, Reading. Inspired by a 13th century castle in England of the same name, Stokesay Castle was built by George Hiester as a wedding gift for his bride in 1931. The only problem was, his new wife hated it and swore never to live here. So George used the fortress as a hunting lodge until 1956. 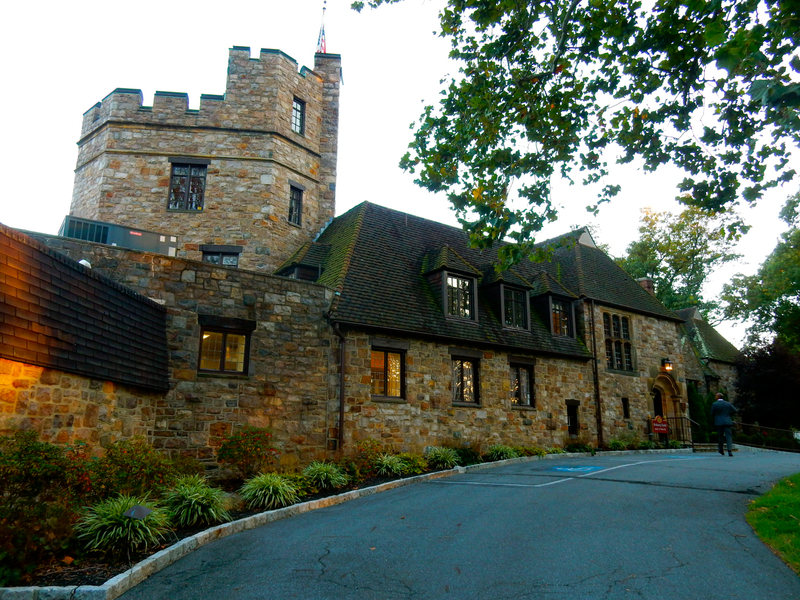 Turned into a restaurant in 1970, the Castle was forced to close in 2007. That’s when new owner Jack Gulati sunk $3.5 million into renovations, reopening the estate as a pub, fine restaurant and wedding venue in 2009. Improvements continue. 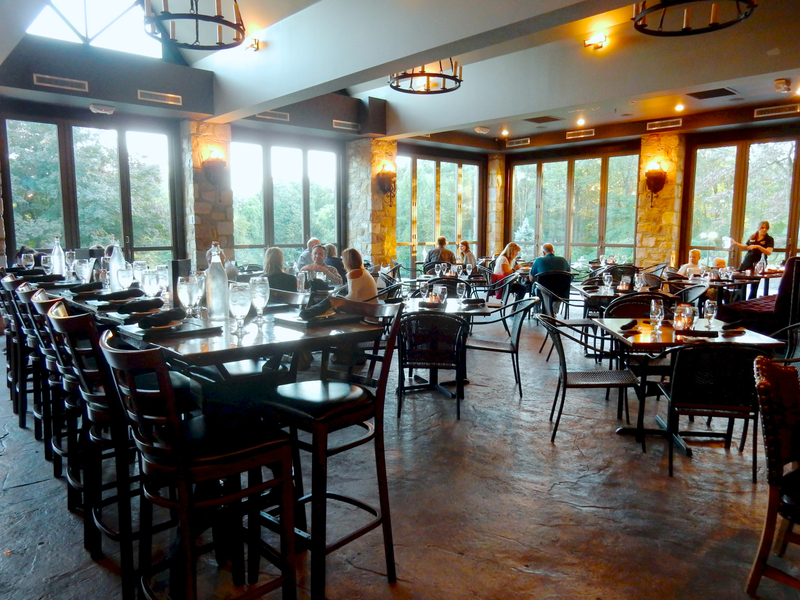 In 2012, the outdoor patio was enclosed and became the very contemporary, window-walled Knight’s Pub. It’s a beautiful, airy space in which to imbibe in craft cocktails and “Round the World” comfort food, in addition to typical pub sandwiches and burgers. Decent dishes, from roast beef sandwich ($15) to Wild Boar ($27) to Wild Mushroom Couscous ($19) and more, go down easy with the wonderful ambience. EAT: Locals love Dan’s at Green Hills – for fine American-French Cuisine, the Ugly Oyster -an authentic Guinness Irish Pub, and Mezcal’s Restaurant, next door to the Santander Performing Arts Center, for its pitchers of Margaritas. STAY: Stirling Guest Hotel. 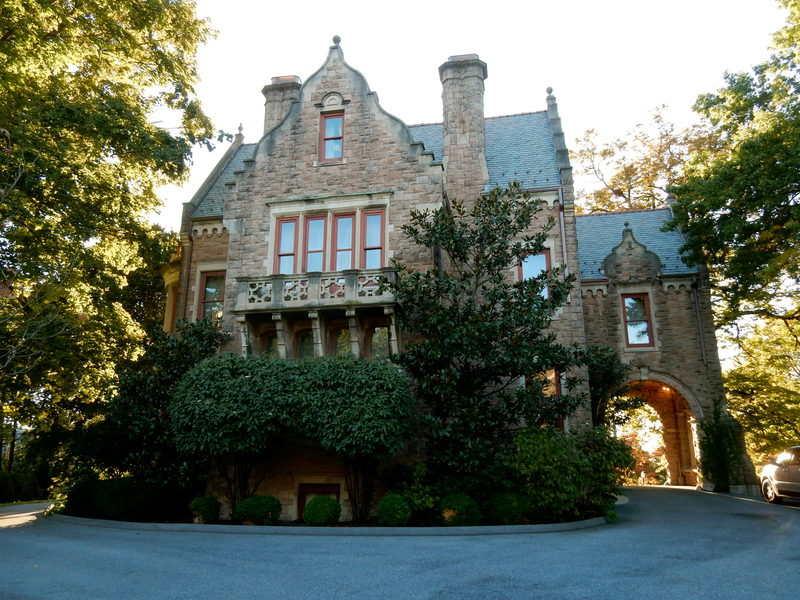 This mansion on a hill, built in 1890 for iron industrialist and engineer, James Hervey Sternbergh, was named for a castle in Scotland, and is now one of the most regal places to stay in Reading PA. As a Maven Favorite, read the complete write-up HERE. STAY: The Inn @ Centre Park, Reading. 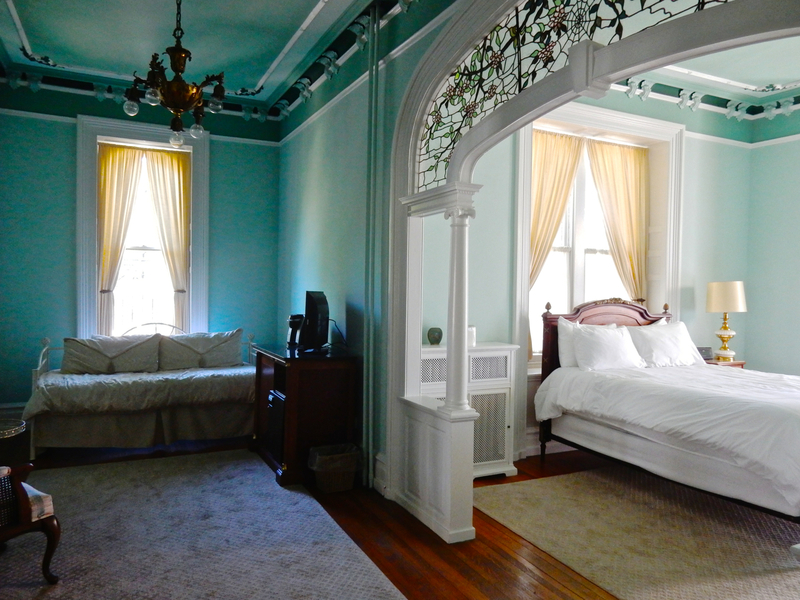 Built in 1877, redone in 1894, this pretty gem on the park has been a 3-room B&B for 25 years and is worth booking for its architectural features alone. Archways, sculptural moldings, elaborately carved chestnut woodwork, and a marble fireplace (in the Wilheim Suite) so huge, it defies photography, common areas and rooms are stunning. At $150 -$225 for the largest suite, they are a bargain as well. Sarah’s Suite, light and airy with 12 foot ceiling is the most feminine of all.